Shaun King, Linda Sarsour and other liberals thought they were criticizing the Trump administration on Sunday when they tweeted a picture of immigrant minors sleeping in a caged enclosure, but it turned out they were inadvertently tweeting a photo that occurred during the Obama administration instead. 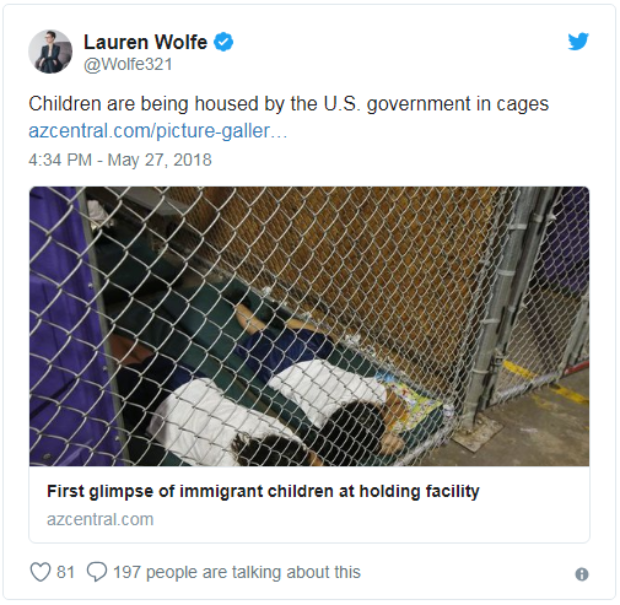 “This is happening right now, and the only debate that matters is how we force our government to get these kids back to their families as fast as humanly possible,” Favreau wrote in a now-deleted tweet, which included a disturbing image of two immigrant minors sleeping in a caged enclosure. But the Arizona Central article was from 2014 — during Obama’s presidency.